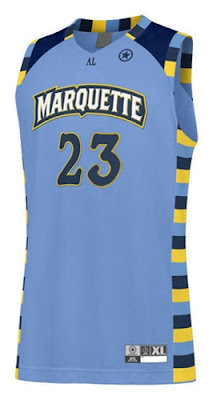 I am going to put off the flashback again today because I wanted to get to the Marquette Jerseys before next week. 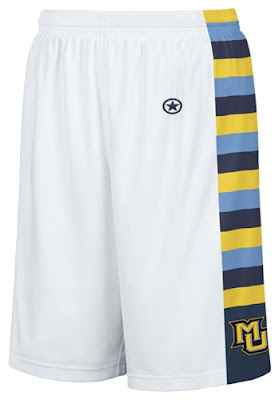 These showed up online at Marquette's Spirt Shop. From reading around other websites there are going to be Navy and Gold Jerseys also, for a total of 4. However, I am not sure if either one or both will be in this design. You'll see here first the White Jersey and Shorts. 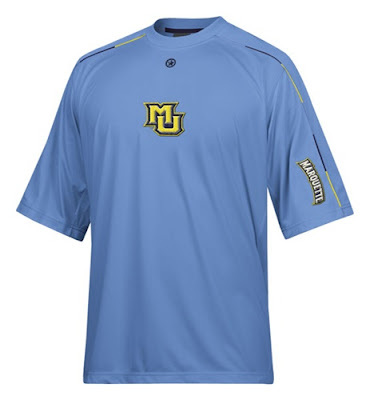 Baby Blue, Navy, and Gold, classic. I am so geeked to see this actually on the court. 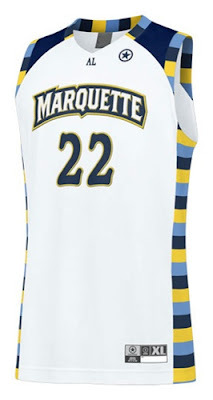 I love the retro look with the color panels and I think that the navy shoulder stripes really ground the whole jersey. And of course the Circle and Star is the best part for me. Below are two shooting shirts, one short sleeve in the baby blue and the other long sleeve in navy, both with alternating piping. As I said before all these items are for sale over at the Marquette Spirt Shop, that is also where I got the pictures from. Well that's all for today, hopefully there will be some more Converse stuff up soon. Thanks for checking out the site, if you like it please tell everyone you know, well maybe not everyone you know, but you know what I mean. See you at College Gameday... Go C-A-T-S-! Nice blog! 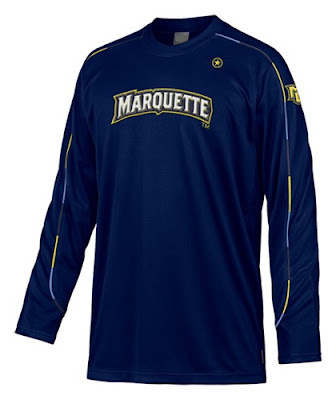 Great to see Marquette switch to Converse, I like the Wade line and some more diversity in the college uniforms/shoes won't hurt either. Hope to see pics of angles of the Wade 3.0 on here soon too. Keep it up.